With the rapid development of e-commerce, the logistics industry is now under the spotlight, attracting the attention of various venture capitalists . By 2020, the market size of China’s automated logistics system is expected to cross 100 billion yuan, and the growth rate is forecasted to remain above 15 percent for the next few years. Amazon acquired Kiva Systems for USD 775 million, while JD.com ploughed money into its own warehouses. It is necessary for logistics companies to have a comprehensive intelligent logistics system, with independent intellectual property rights. A complete hardware system typically consists of conveyor equipment, storage equipment, loading and picking equipment, re-batching equipment, re-binning equipment, packaging equipment and sorting equipment. Leading intelligent packaging and logistics equipment manufacturers will showcase the latest intelligent packaging equipment, robotics and logistics equipment according to the theme of the exhibition. The theme pavilion will be located in the same area along with “SAVE FOOD”, “FMCG Future Zone”, “Printing Packaging” and “Components Zone”, which are the five major theme pavilions of swop. This year the exhibition area at swop 2019 will expanded to more than 50,000 square meters, covering N1-N5 exhibition halls of the Shanghai New International Expo Center. Nearly 1,000 exhibitors will gather under one umbrella, recognizing swop as a major event of the year, for the packaging industry. According to e-commerce statics of 2017, the nationwide e-commerce transaction volume reached 2.916 billion yuan; up 11.7 percent from the same period the previous year. With the rapid development of e-commerce logistics, the product packaging industry is flourishing simultaneously. However, as manual packaging operations have been unable to meet the requirements of providing large quantities of product packaging in terms of efficiency and accuracy, automatic packaging lines are emerging at the right time. Integrated with carton forming, automatic boxing and automatic sealing; automatic packaging lines achieve unmanned packaging with front-end automated production lines. According to data released by the Italian Packaging Machinery Manufacturers Association, the annual output of the global packaging technology and packaging industry in terms of value, has reached around USD 40 billion; 60 percent of which comes from the food and beverage industry, followed by pharmaceuticals, cosmetics and personal care products. Automated packaging can be customized and manufactured according to customers’ different packaging requirements. With the help of various information technologies such as IoT, big data, cloud computing and artificial intelligence; intelligent logistics will not only enable the e-commerce platform to provide consumers with faster and more accurate services, it will also help reduce costs. Moreover, in the wake of increasingly scarce land resources, companies choose to improve their warehouse space utilization by deploying intelligent warehousing solutions. swop 2019’s Top 100 Corporate Buyer Group Program will invite visitors from related departments, such as warehousing, logistics and planning, of various e-commerce platforms including JD.com, Tmall, Amazon, Vipshop, Suning, S.F. Express and YANXUAN , as well as heads of packaging and purchasing departments of renowned companies, including Danone, Heinz, Nestle, Mondelez, COFCO, Pepsi, Coca-Cola, Yili, Bright, Nongfu Spring, Unilever, P&G, L'Oreal, Proya, Pechoin and many more. Thanks to the powerful and professional global network and database resources of the organizers, swop 2019 is expected to attract more than 25,000 domestic and overseas visitors. 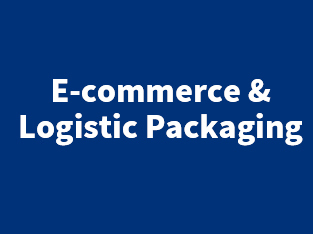 For packaging enterprises, this is the one and only international professional trading platform where they can have direct contact with high-end customers and renowned companies from the e-commerce logistics industry.